The musical mastery of Irish folk legends The Dubliners will once again come to the fore when a new live stage show dedicated to the long-serving band takes to the road. 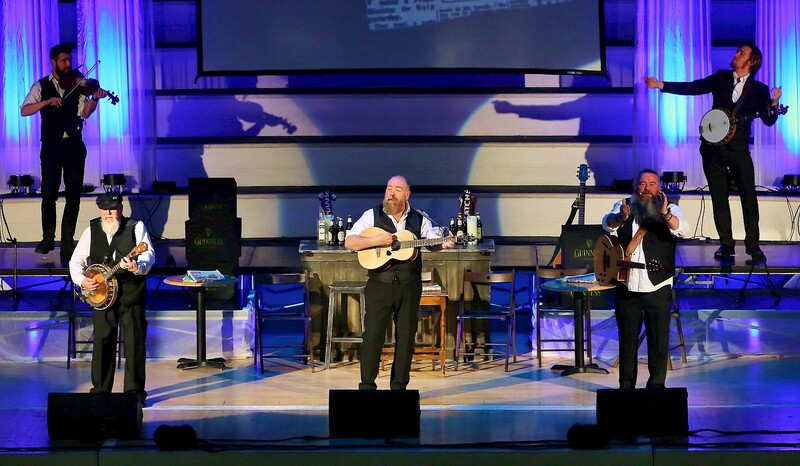 Seven Drunken Nights, named after one of The Dubliners' best-known hit songs, aims to bring the music of Ireland's favourite sons to life. 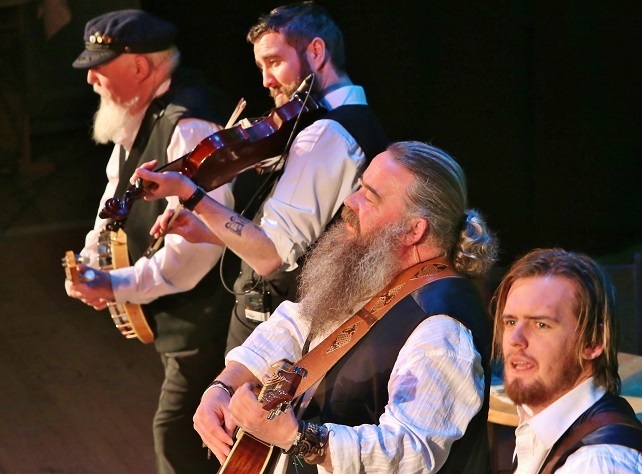 And folk lovers in Staffordshire will be able to see and hear those songs performed when Seven Drunken Nights comes to the Lichfield Garrick theatre on Saturday 21 April. Produced by Prestige Productions, and directed by Ross Mills and Ged Graham - the latter of whom also wrote the show - Seven Drunken Nights tells the story of The Dubliners throughout their 50 year career. It follows the fortunes of band members Ronnie Drew, Luke Kelly, Barney McKenna, Jim McCann, Ciaran Bourke and John Sheahan with the help of a talented cast of musicians and singers who collectively bring the music of The Dubliners to life. Fans who will be able to see two performances of the iconic show at Lichfield, at both 3pm and 7.30pm, are expected to sing and clap along to such classics as The Wild Rover, The Black Velvet Band, The Irish Rover, Molly Malone, Finnegan's Wake, McAlpines Fusileers, Raglan Road and, of course, Seven Drunken Nights. The Dubliners were founded in Dublin in 1962, having started off as The Ronnie Drew Ballad Group, named in honour of its founding member, before subsequently changing their name. Despite various line-up changes the group's success was centred on lead singers Kelly and Drew. Their release of Seven Drunken Nights in 1967 led to an appearance on Top of the Pops and, with it, a growing popularity that spread across the Atlantic to the United States. The Dubliners went on to become one of the most influential Irish acts of the 20th century, culminating in a Lifetime Achievement Award at the BBC Radio 2 Folk Awards in 2012 which also marked their 50th anniversary. Sadly, they announced their retirement that same year following the death of the last of the founding members, Barney McKenna. Seven Drunken Nights will be at the Lichfield Garrick on Saturday 21st April with performances at 3pm and 7.30pm. Tickets priced £23.50 are available from the theatre box office by calling 01543 412121 or by visiting www.lichfieldgarrick.com.